For the past several years, the hubs and I have rung in the New Year quietly - by ourselves on the couch or with family. A majority of the time, I watch the ball drop by myself while hearing the heavy breathing of the hubs beside me. This year had to be big. I heard that New Year's in downtown Zagreb was big and fun, so that is what we decided to do. 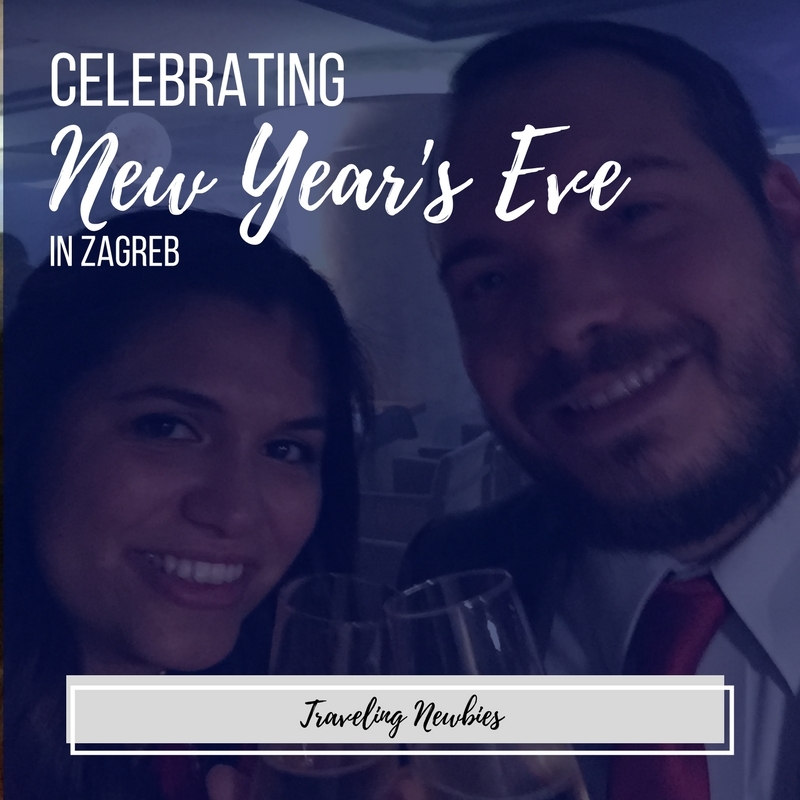 After visiting Kansas for Christmas, and having a wonderful time catching up, the two of us returned to Zagreb on New Year's Eve just in time to have a big dinner and New Year's toast. At one of my favorite cafes in Zagreb, we enjoyed a six-course dinner with friends. Johann Franck offered a "Casino Royale" themed event, and we cleaned up nicely (if I can say so myself!). After landing, we showered and napped to have energy for the shindig. With the exception of the salmon, our dinner was outstanding. Even better was the view of the main square. Instead of standing with thousands of others to ring in the new year and watch the fireworks, we observed it all from the third story of the cafe. Funny enough, we only got to eat five of the six courses. It is traditional here to have a goulash or sarma in the wee hours of the morning, like two or three o'clock a.m. People do this for weddings, events, New Years... The hubs and I are old souls, so sadly we had to miss the goulash. Regardless, we are happy we fought jet lag to celebrate in style. I hope your New Year was as fun as ours was! And of course, being the planner that I am, resolutions are made and ideas have been planned for 2018. Happy New Year to you all, and I hope we have plenty of adventures to share with you before we leave Croatia! Sign up with your email address to receive our updates straight to your inbox!